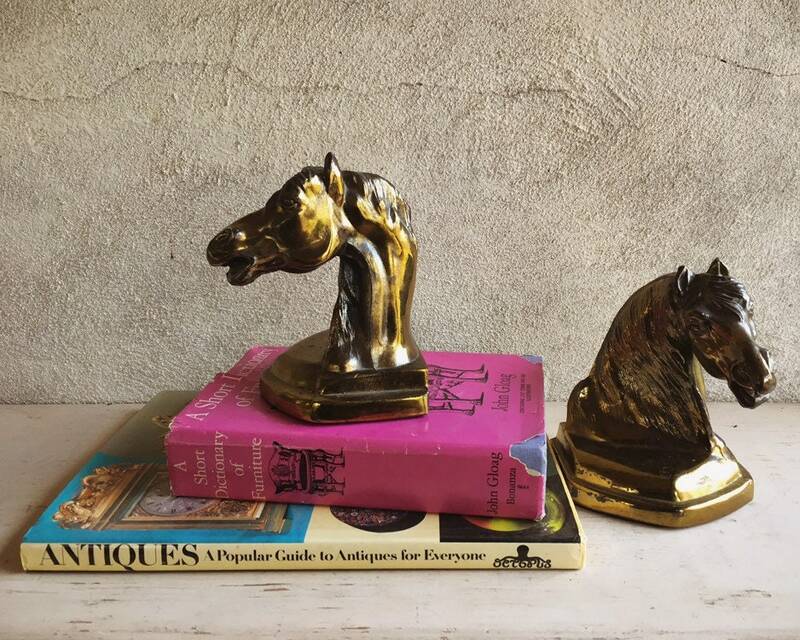 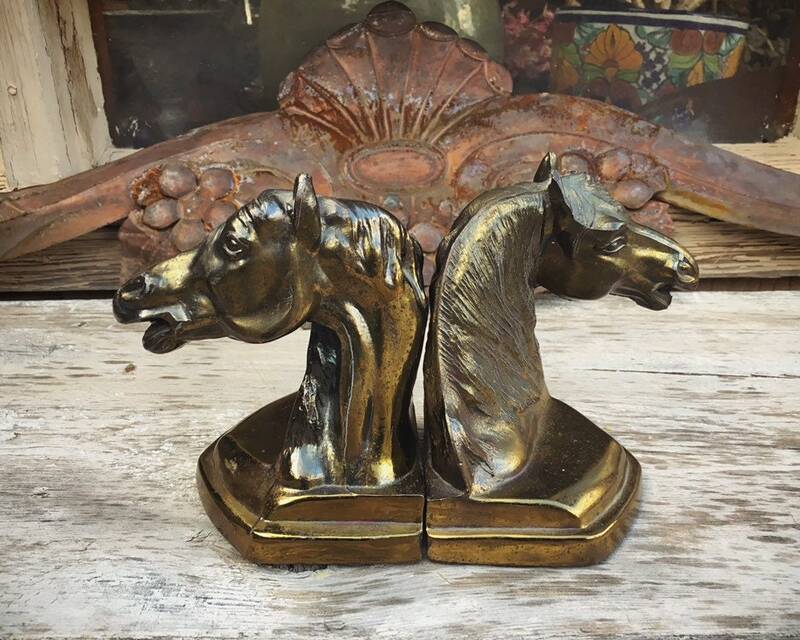 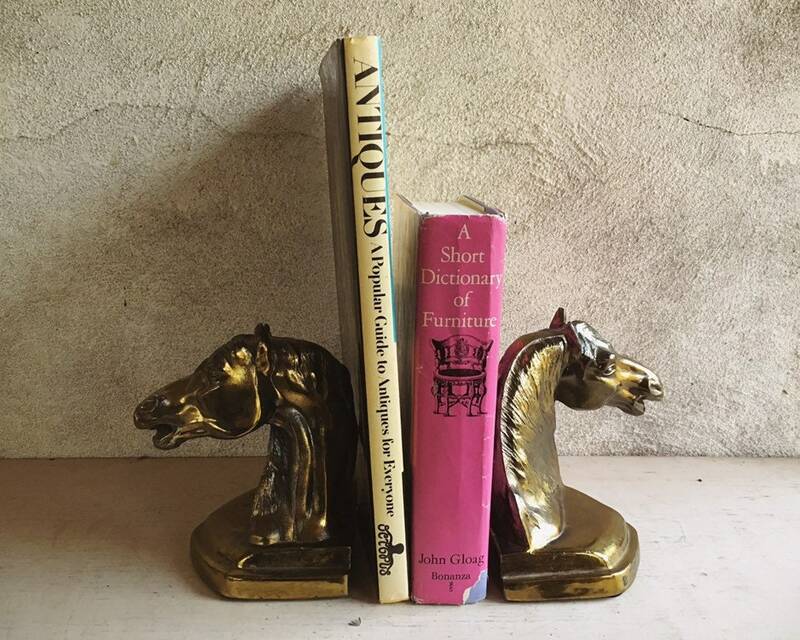 Here we have a fabulous set of vintage brass horse bust bookends, and what I love most about them is that they each lean to a different side. 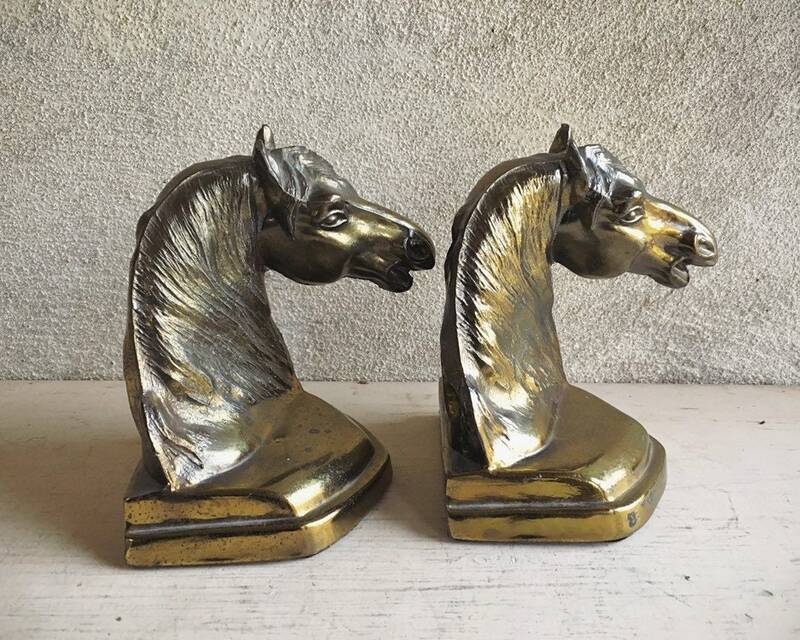 This gives them a natural look and accentuates what is probably the most powerful part of the horse and that which any horse lover admires, which is the long lean neck. 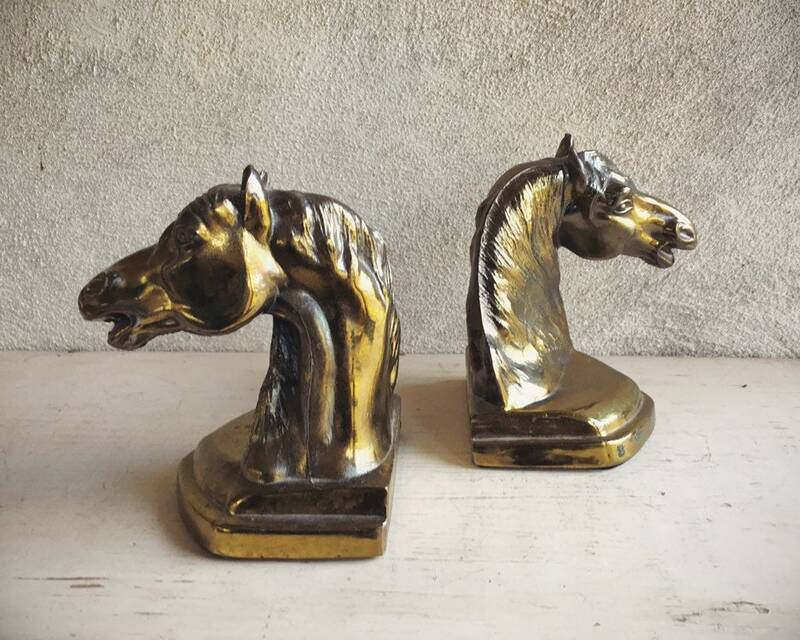 The pieces are unlacquered and truly stunning and masculine, and would be perfect for an office, bedroom, or great room of a ranch house. 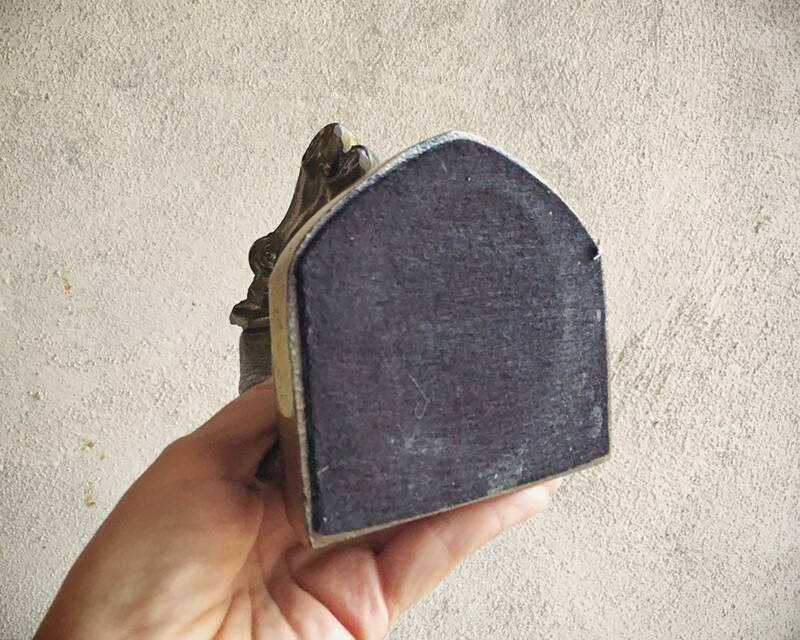 Each measures about 6" tall from the base to the tip of the ears, and a base of 4-3/4" by 4-1/2" wide. 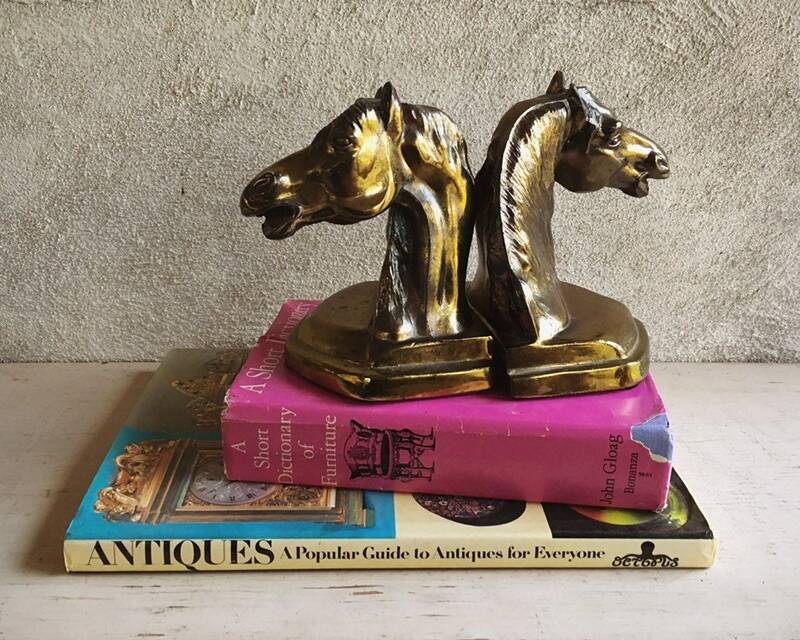 Together weight about five pounds together, unpacked. 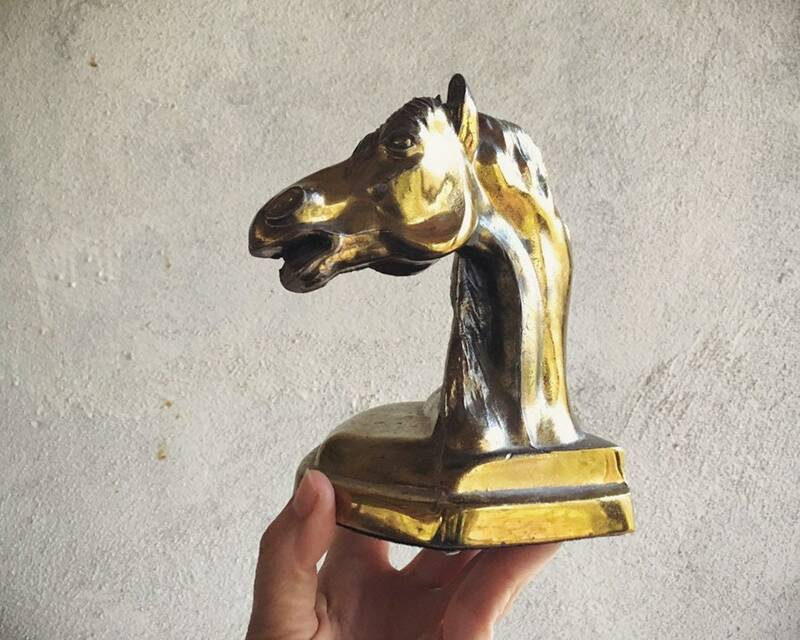 The brass has some scratching from age, and a lovely patina. 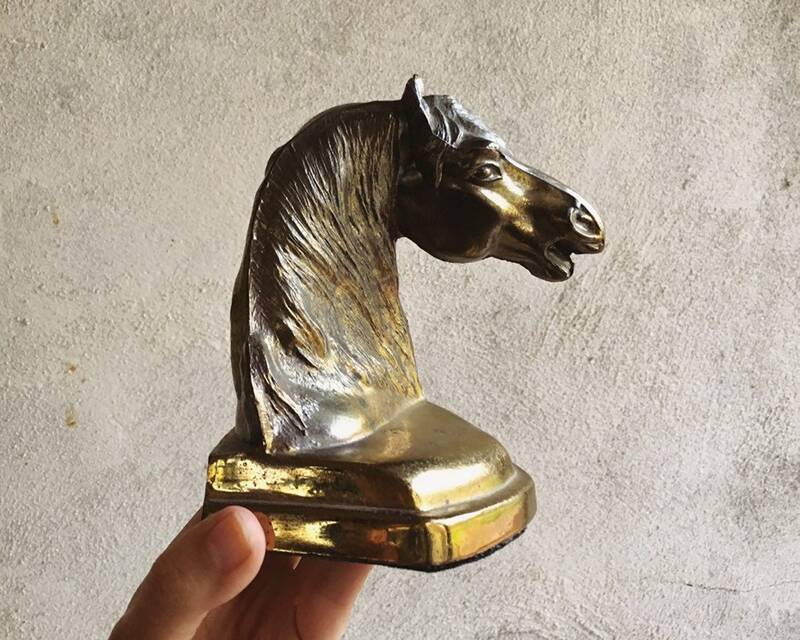 Capturing the elegance and power of a most magnificent creature.